Skills Die. Concepts Live Forever. Ten thousand years ago people added with their fingers. 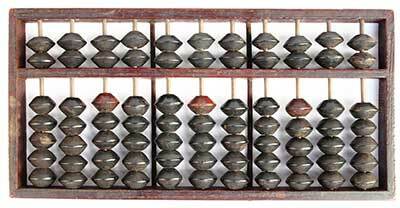 Four thousand years ago they used an abacus. In the 1960s–calculators. Today, you can tell your cellphone to do the math for you. 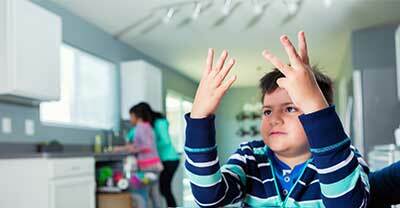 Although how to add has changed, whether you need to use addition, subtraction, multiplication, or division to solve a problem has not changed. Skills die. Concepts live forever. Every student needs effective Concept Development, so they will be able to apply knowledge to new situations. You are not teaching your students to fill out a worksheet. You are teaching your students to recognize and apply conceptual knowledge to any situation, whether it occurs at school, on a state test, or later on the job. Even being a strong reader does not guarantee that students can answer questions addressing concepts such as plot, theme, setting, point of view, and cause-and-effect text structure. Students need to be taught Concepts, and here’s an easy way to design Concept Development. Provide written definitions of the lesson’s concepts. Provide labeled examples. Include non-examples if they help clarify the concept or address common errors. Prepare Checking for Understanding questions about the concepts. Shown below is Concept Development for similes. 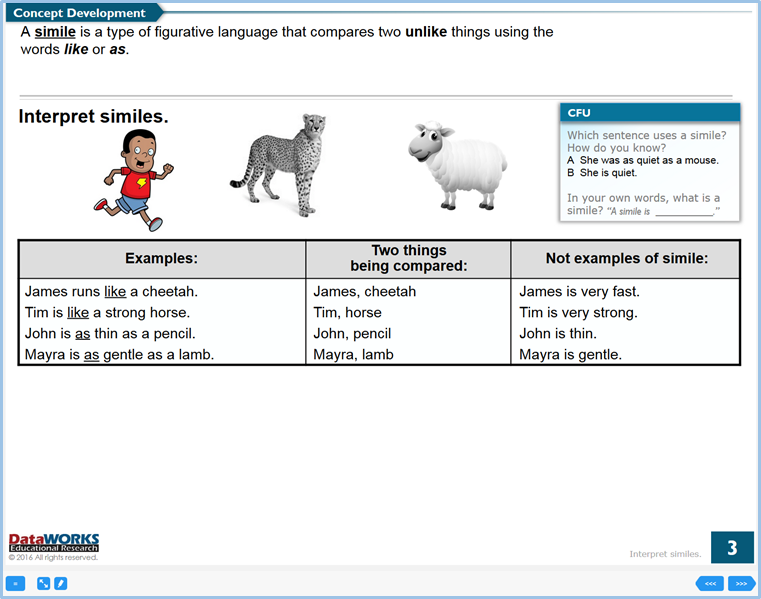 You can see written definitions, labeled examples, and Checking for Understanding questions. You can also see some non-examples. For math lessons, Concept Development can include worked-out examples. You use these examples to explain to students how a process is done. Later during Skill Development you will model the thinking required while you solve unsolved problems. 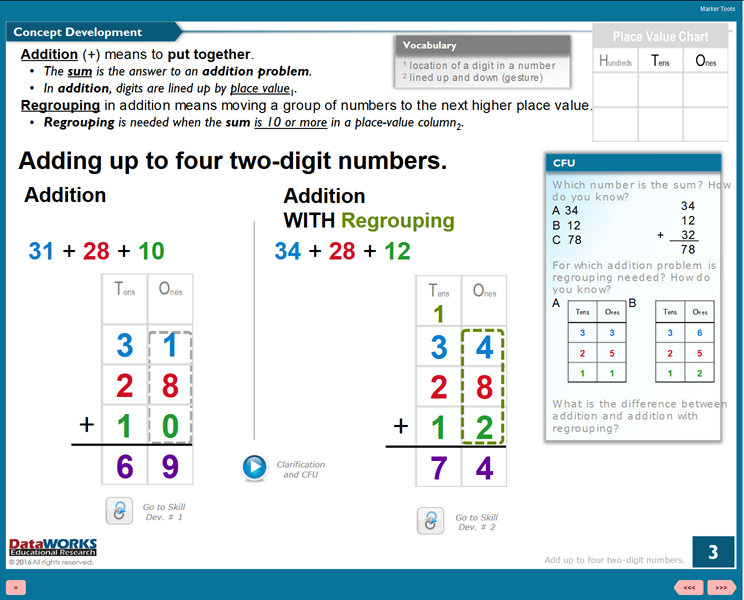 In Concept Development for the math lesson below, you can see written definitions, examples, and Checking for Understanding questions. Training in Explicit Direct Instruction is available from DataWORKS. Example lessons are from educeri.com. 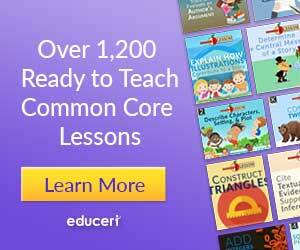 This website has over 1,200 ready-to-teach lessons. Each lesson contains strong Concept Development.